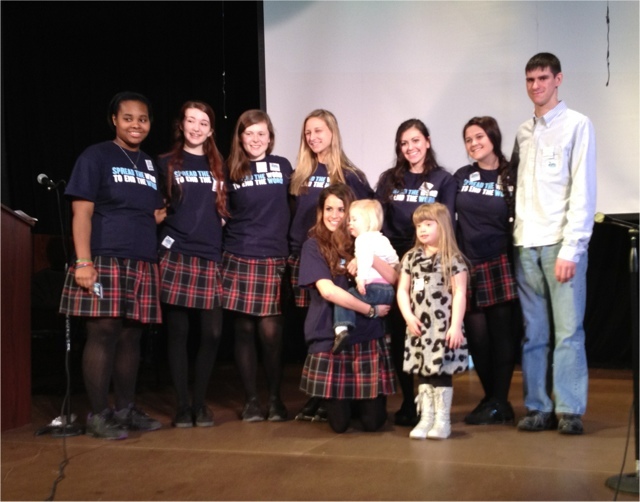 3/6/2013 was Spread the Word to End the Word Day! 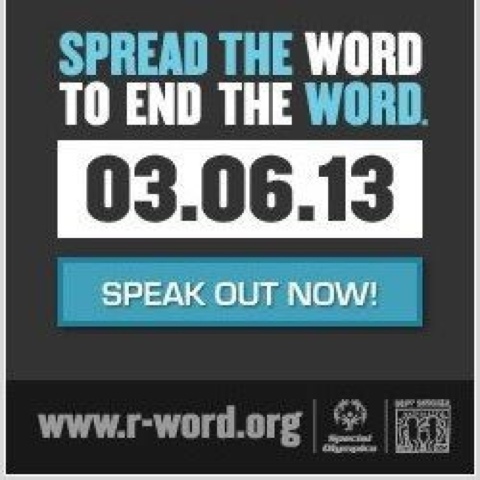 This is a day that urges people to pledge to stop using the r-word (retarded). 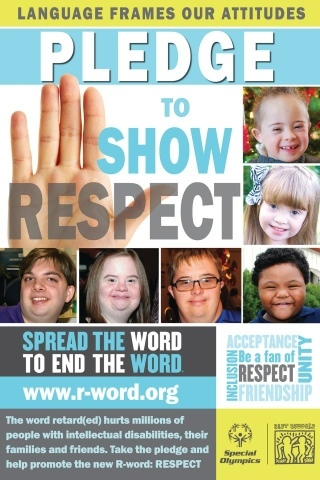 You can take the pledge today at www.r-word.org! 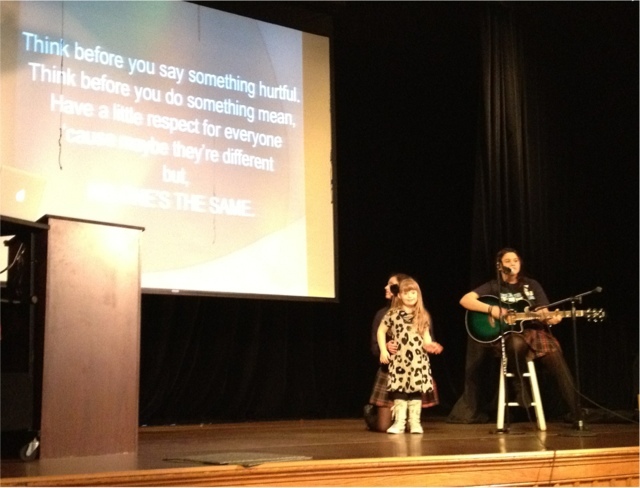 I went to 3 high schools with my mommy and BFFs Natalie & Shawn to talk about how the R-word is hurtful and that there are better ways to describe what you want to say. 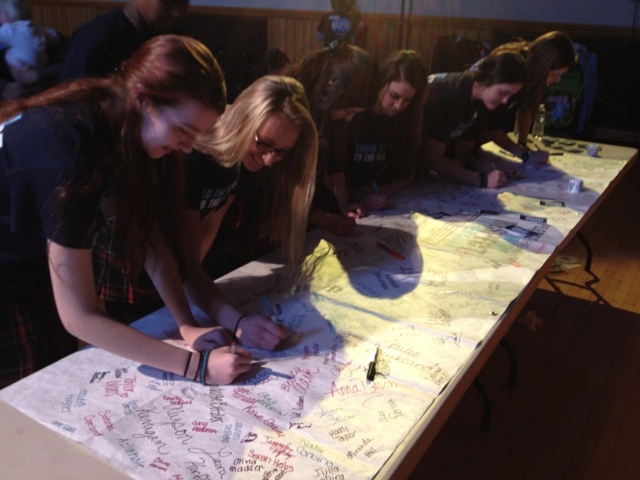 Students at the schools were great and lots of them signed banners pledging that they will not say the r-word again! I made lots of new friends and can't wait to do it again next year! Delaware Special Olympics also made a cool poster for Spread the Word to End the Word Day and they even put my picture on it! So cool! My friend J.J. Is on the poster too!